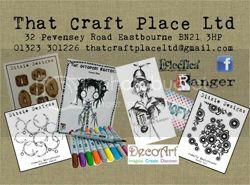 Today I'm here to tell you that I have been selected to be part of the DT at That Craft Place. I am so excited about it! Can you imagine? My blog is only two months old, and I am already on a DT! I'm looking forward to start working with this great team and with the awesome variety of materials that they have in their shop. If you still don't know it, I recommend you to pay them a visit! You can also find some fun challenges in their blog, the last one is about using flowers and there is still a week left to present your works. And if you are looking for inspiration, there is not better place to go that their Natter and Chatter FB group. Here, I'm going to show you my DT batch, that is going to be now displayed in my side bar. And you know what? This shop has their own brand of digital stamps, Ditzie Digi Design, and therefore yesterday I decided to make this little tag to be able to showcase it today together with the good news. 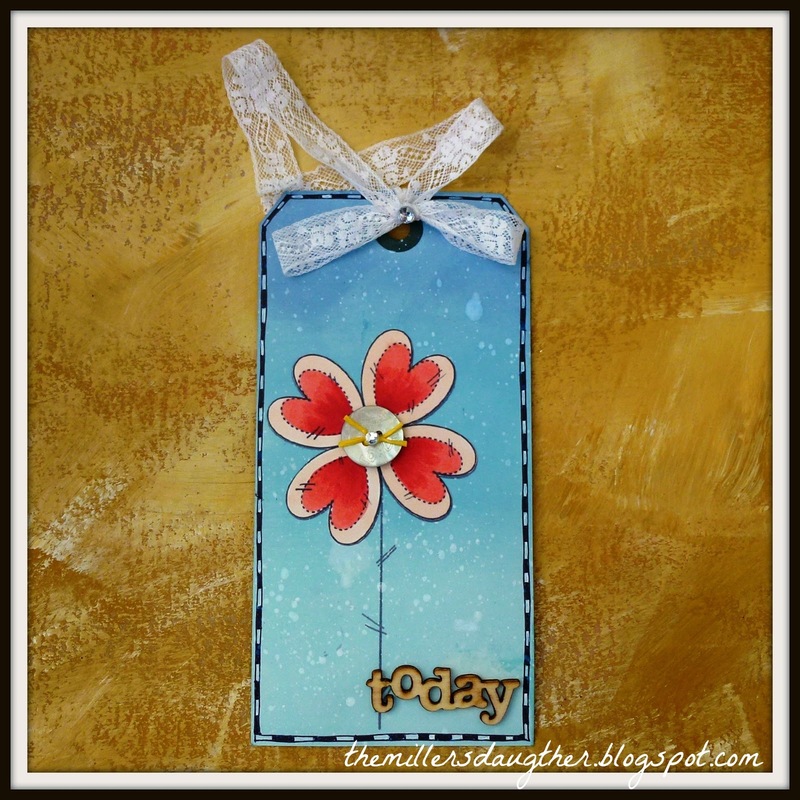 In this tag: Digital stamp, stitched flowers, from Ditzie Digi Design, coloured with Copic markers: R00, R22, R24 and R27. Distress inks, gesso, lace, button and blings. Love your joyful and bright tag, Aurora! Yay! I see great times ahead of us! Lovely Tag, thank you for your entry at Scrapping4funChallenges! Congrats on your DT position and love your tag. Thanks for joining us at Tuesday Throwdown Challenges this week. Congrats on the DT! That's wonderful. Also love this precious tag with the pretty flower. Great colors on this too. Beautiful tag and congrats. Thanks for playing with Creative Fingers this week. I love your adorable tag! Thanks for playing at Scrapping4FunChallenges! Very pretty! Thanks for joining at Scrapping4FunChallenges!